Dolly (Homepage) wrote: At last, someone comes up with the "right" awnesr! Claus Petersen (Homepage) wrote: You have made this look like a big sea creature, just lurking beneath the surface here. Cool shot. Guido (Homepage) wrote: Mi piace molto questa foto. Sembra l'atmosfera di un altro pianeta. WTFoto!? (Homepage) wrote: Amazing capture as always. 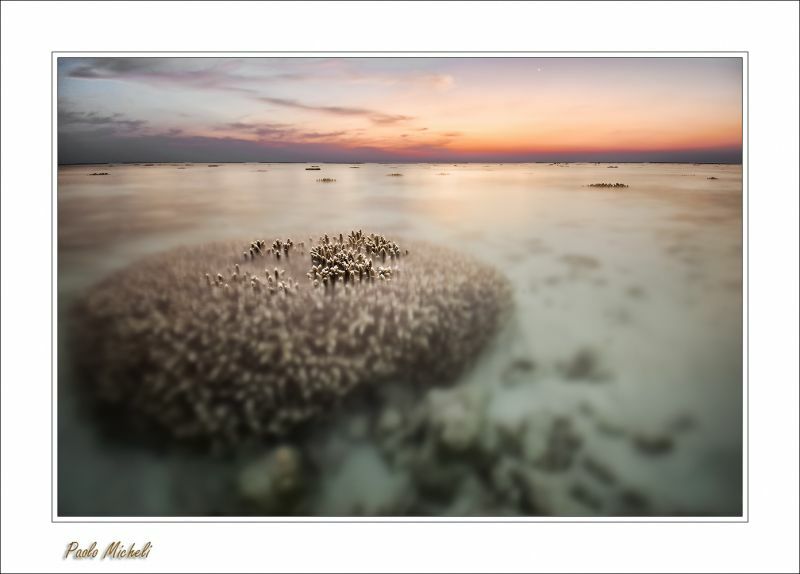 The blurry in-water coral combined with the colours of the sky makes a perfect photo. Congrats!